How one Army product office used strategic acquisition to drive competition and improve readiness in a specialized market dominated by two vendors. Late on a January afternoon in Texas in 2015, gunfire shattered the typical silence and echoed through the halls of a U.S. Department of Veterans Affairs medical clinic at Fort Bliss. In a scene too familiar to Americans today, active shooter alarms sounded in the William Beaumont Army Medical Center and two nearby schools—thousands of innocent people were suddenly in danger. Within two minutes of the first shots, a handful of first responders entered the building. Behind the scenes, multiple 911 calls poured in and the computer automated dispatch system aided coordination of a swift and decisive response. Within 30 minutes, more than 300 first responders from Fort Bliss’s Military Police, the El Paso Police Department, the El Paso SWAT team, the El Paso Independent School District Police Department, the U.S. Department of Homeland Security’s Immigration and Customs Enforcement and Customs and Border Protection agencies and the FBI had responded. Equipped with interoperable land mobile radios (LMRs), the diverse team coordinated actions under the direction of a single incident commander. Acting with the efficiency that comes from good communication, the team evacuated more than 3,000 civilians and secured the crime scene in less than seven minutes. Two people were killed. The fast and effective actions of first responders, however, prevented a terrible situation from becoming much worse. 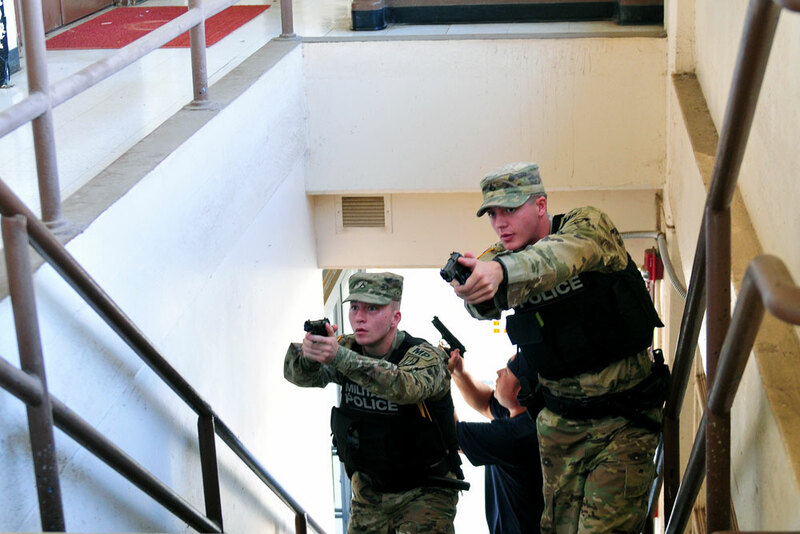 Timeliness is critical during active-shooter incidents to minimize casualties. The ability to communicate in a disaster is one of the most overlooked factors in maximizing the efficiency of response and minimizing damage. LMR is the first line of communication for first responders at all Army installations. First responders are the heroes; LMR makes the heroes more effective. Colloquially known as “bricks” for their iconic appearance, the subscriber unit radio is the most visible asset of an LMR system. Most users take no interest in how the system actually works—just as most people don’t think about what goes into making their cell phone work. 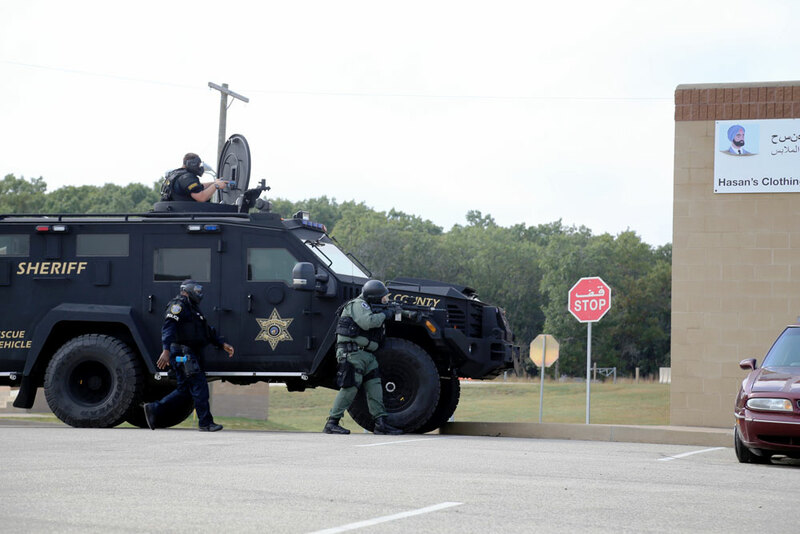 But unlike a firearm, flashlight or other tool on a first responder’s duty belt, the radio requires a vast behind-the-scenes network to provide state-of-the-art communications capability at the push of a button. Looking “beyond the brick” reveals the LMR system as a true system of systems, typically consisting of handheld portable radios, mobile radios, base stations, radio towers, software and other network components to extend the range and capability of each radio. Part of the Program Executive Office for Enterprise Information Systems, the LMR product office’s responsibility encompasses the whole system——managing, engineering, acquiring, delivering and supporting the total architecture of the LMR system on Army installations worldwide. In just the continental United States (CONUS), that amounts to 68 stand-alone systems at 68 installations in 38 states and the District of Columbia. The nontactical LMR systems they field support installation management and force protection, public safety and homeland security. In 2014, the LMR product office recognized two mounting threats to the future readiness of Army CONUS LMR systems: a complex requirement and minimally competitive industry base; and a widening shortfall in appropriated funds to procure and sustain aging systems. Similar to many segments of the U.S. defense industrial base, the industry for Army LMR is narrow because few commercial LMR suppliers meet the Army’s information assurance and cybersecurity requirements. Just as Boeing Co., Northrop Grumman Corp. and Lockheed Martin dominate military aircraft manufacturing, and General Dynamics and Huntington Ingalls Industries dominate the Navy shipbuilding market, Harris Corp. and Motorola Solutions Inc. are the dominant competitors for Army LMR. Although two industry partners generate more competition than one, the modularity and uniqueness of systems for each individual post, camp and station meant that one company would sometimes enjoy a competitive advantage over the other. For example, if the Army used Motorola products at Camp A, it would make the most sense to use products from the same vendor for replacements and upgrades at Camp A for ease of compatibility. That left Harris with an uphill battle to win the contract—as the saying goes, often making the juice not worth the squeeze. In such cases, the competition for a contract evaporated and left one company with a corner on the market. In a cash-strapped Army, resources directed away from operations and maintenance to meet more urgent readiness requirements and fight existing conflicts left many systems in “break-fix” status, meaning systems were only fixed and restored as they failed. Information assurance accreditations expired at numerous installations, putting long-term operational readiness in jeopardy. Without sufficient funds to maintain all 68 CONUS systems, the LMR product office and their customers, the U.S. Army Network Enterprise Technology Command and the U.S. Installation Management Command, had to look for alternative solutions. To solve both issues and ensure readiness for LMR systems, the product office introduced the Army CONUS Enterprise (ACE) LMR System. ACE consolidates 68 localized LMR core systems into two enterprise LMR systems. 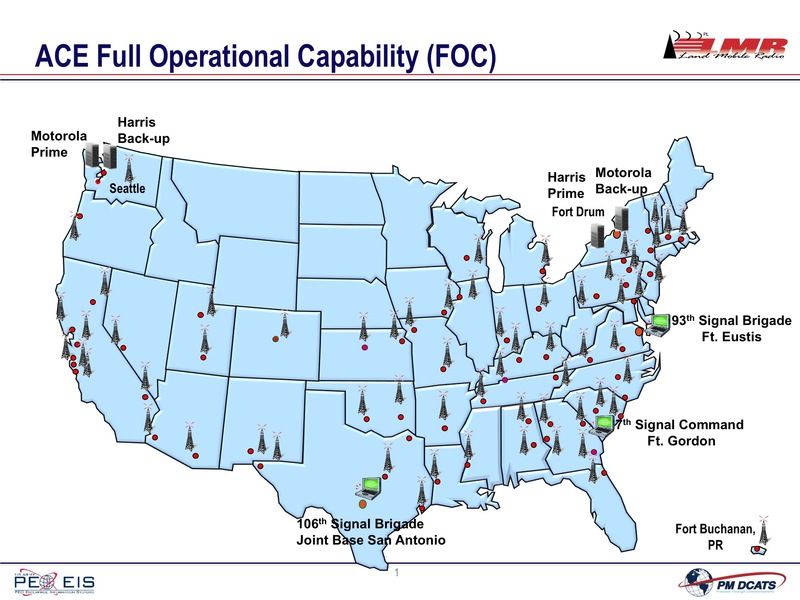 The ACE model provides fully redundant LMR systems throughout CONUS with a core infrastructure hosted at Joint Base Lewis-McChord in Washington and Fort Drum in upstate New York. Here we come to the acquisition “card trick.” The LMR product office designed the ACE acquisition as a limited-source, dual-award contract with both major contractors—Harris and Motorola—supplying the primary core for one location and the secondary core for the other location. The result? A Motorola primary and Harris secondary at the first location, but a Harris primary and Motorola secondary at the second. 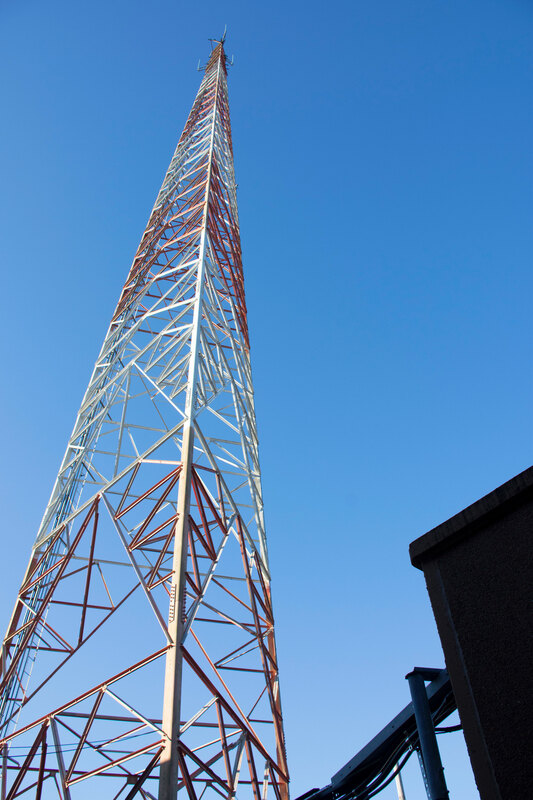 The ACE LMR system will provide an enterprise-level LMR system while maintaining competition at the installation level on each delivery order for new radios, towers, dispatch consoles and other infrastructure. With ACE, both major contractors enjoy the same incentive to compete for every LMR procurement for every Army post, camp and station in CONUS, while the Army reaps the benefits of competition. In designing the ACE architecture, the LMR product office developed a new contracting model that may prove useful to other network efforts facing challenges with competition. The product office also learned many valuable lessons that are applicable to any office on any effort. No battle plan survives first contact with the enemy, and no request for proposal (RFP) survives first contact with industry partners. RFPs are prepared deliberately, thoughtfully and thoroughly, but they represent only the government side of the conversation. Government acquisition teams and industry partners both have phenomenal people with brilliant ideas and different perspectives. That often produces different ideas on how to solve the same problem. By communicating first, frequently and openly, government and industry partners can better complement each other’s efforts. When issuing its RFP, the product office was confident that its industry partners would repurpose existing core systems from current installations to the new ACE sites to save on costs. They were then shocked to learn through initial industry proposals that none of the fielded cores were technically suitable to handle the volume of traffic required for a regional core. Both government and industry partners were in sync on the big picture, but they found key differences in proposed solutions. Going forward, the LMR product office plans to mitigate confusion on task orders for individual site installations by using face-to-face initial proposal meetings with industry to discuss, clarify and shape proposals through dialogue. Rather than asking the companies to prepare their proposals in a vacuum as with the initial RFP, the product office is putting the “partner” back in “industry partner” and collaborating to provide best-value solutions. Although their statement was directed to tactical networks, the same challenge is aptly illustrated by ACE LMR. Building newer, more resilient and reliable systems requires time, especially for modern communications systems. To go from concept to contract for ACE took three and a half years. Now in post-award, the product office projects another 18 months to deliver the first installations. Updating all 68 CONUS LMR systems will continue incrementally over the next five to 10 years as funding priorities permit. That totals 10 to 15 years from concept to completed fielding. As ACE LMR illustrates, the Army acquisition machinery is a battleship that cannot abruptly change direction. Major network improvements do not happen overnight. Army Chief of Staff Gen. Mark A. Milley has identified readiness as his No. 1 priority and devoted specific attention to the Army’s communications networks. Time and long-range planning are necessities to achieve Armywide readiness. As it plans regionalization efforts for Army installations in Europe and the Pacific, the LMR product office is applying lessons from ACE to streamline those acquisitions. Through it all, the LMR product office demonstrated that a small—six people in all—dedicated team of acquisition experts accustomed to the routine of cookie-cutter acquisitions can adapt to create something completely new. Without adding any new staff, the team drew on its familiarity with the product and the industry to develop and implement innovative solutions that will fundamentally alter the Army’s future LMR acquisitions. Their dedication and focus will produce three distinct benefits for the Army. 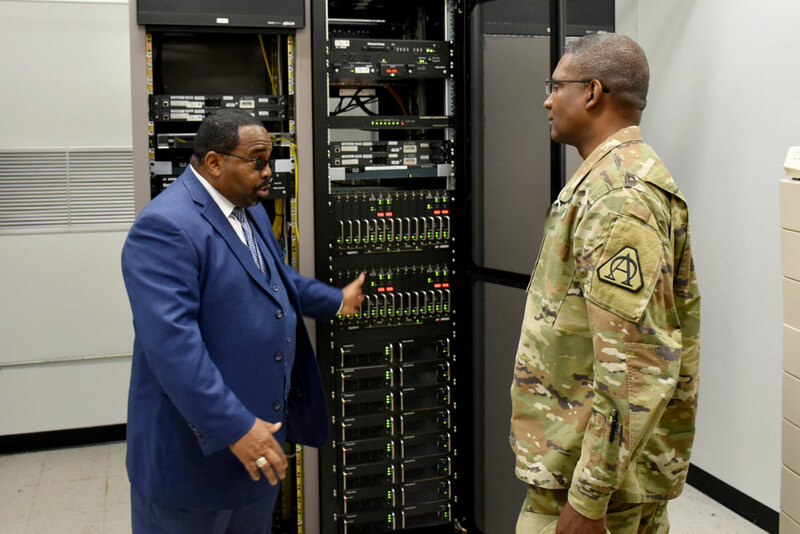 The Army will enjoy immediate cost savings: At a unit price of $800,000 to $1 million per core, a reduction of 64 cores suggests a conservative cost savings estimate of $51.2 million for the cost of the systems alone. The Army anticipates additional life cycle savings through reduced operations and maintenance costs: Acquisition theory teaches program managers to plan for 60 percent of the cost of a product over the life cycle to fall into operations and maintenance. The bulk of the savings is realized years after installation. The Army expects to realize a cost avoidance by reducing the number of operations and maintenance contracts from 75 to two. Additionally, operations and maintenance costs will be further reduced by decreased redundancy in site surveys, operations, information assurance accreditation, software updates and maintenance. ACE LMR reduces workload and improves readiness: On many Army installations, support for fielded LMR systems is not a primary duty. The system manager typically has one, two or even three other primary duties. The burden of programming radios, updating software and other operations and maintenance efforts for LMR often competes with unrelated duties, leaving resources strained. ACE reduces the workload for system managers by centralizing many tasks and assigning them to dedicated system managers based at the two core sites. 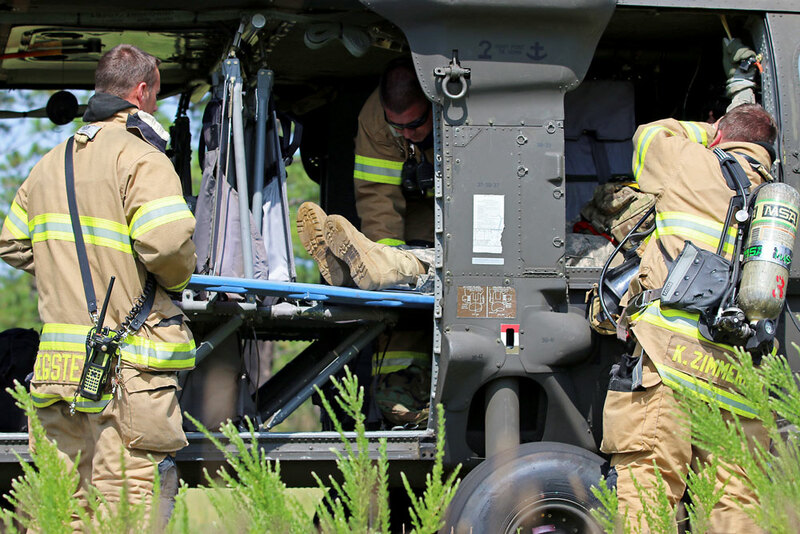 Reducing the hands-on labor required to manage and maintain the fielded systems improves readiness and resiliency for first-responder communications. KIMBERLY DAVIDSON has been the product lead for LMR since 2011, managing the acquisition, management, installation and delivery of the Army’s LMR systems worldwide. She holds an M.S. in program management from the Naval Postgraduate School and a B.S. in secondary education with a specialty in mathematics from Nova Southeastern University. She received a Commander’s Award for Civilian Service in 2011 and 2014 and was nominated for a C4ISR Ten Outstanding Personnel of the Year award in 2005. She is Level III certified in program management. JAMES CHRISTOPHERSEN is a contractor and public affairs professional supporting the Project Manager for Defense Communications and Army Transmission Systems within PEO EIS. 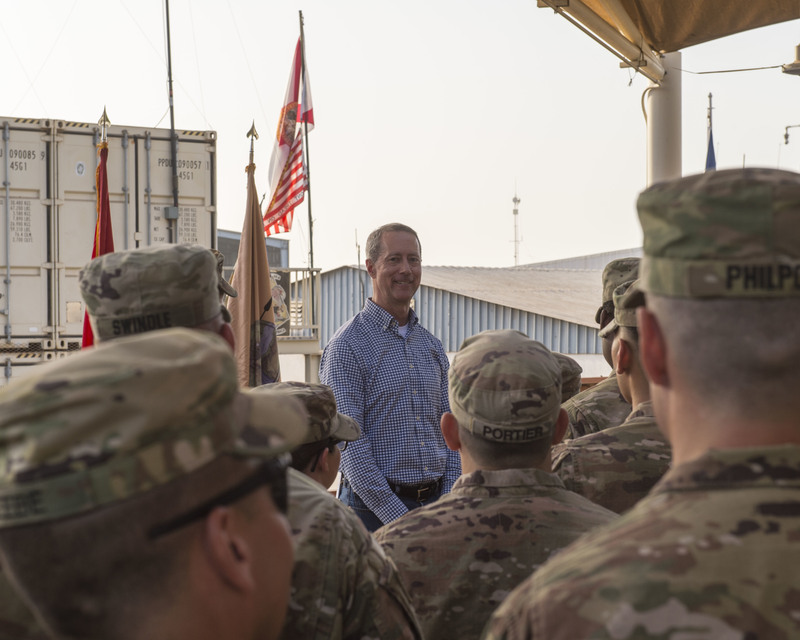 He has supported various offices in the Army acquisition enterprise since 2014, including the Office of the Assistant Secretary of the Army for Acquisition, Logistics and Technology. He holds a B.S. in psychology from LeTourneau University in Longview, Texas, and a Project Management Professional certification. This article will be published in the January – March 2018 issue of Army AL&T Magazine.